Your data is one of your organization’s most valuable assets. It can hold the answers to executing more successful campaigns and better understanding your customers — but only if you’re using it. Analegy provides you with the insights you need to optimize how data is used in your company. We help you assess and organize your data so you have a clearer understanding of how it can be used to help you achieve your goals. 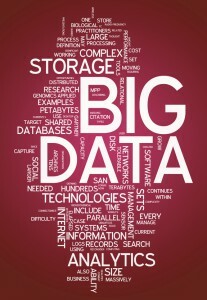 Our team partners with our clients to harness the power of big data. Either actively or passively, every organization is capturing data they can use to glean insights about their customers behaviors. We work with you to identify structured and unstructured data sources within your organization and provide strategies describing how those assets can be used to positively impact your results.